What image do we conjure of the goat? A meek, miserable animal that eats anything it steps on? Or, taking cues from the Chinese zodiac, a creature that represents mild-mannerisms, artistic boldness and charming personality? As we celebrate the arrival of the Year of the Goat, we are just as eager to know what’s in store for those born associated with the zodiac animal. Feng Shui speculations point to good tidings in terms of love and health. For fortune, not everything is going to be peachy, even for executives of B2B companies. Financial losses are going to mark the year unless business leaders are careful especially in managing their lead generation and appointment setting campaigns. On the other hand, people born with the zodiac sign can consider themselves lucky possessing the positive attributes of goats that make them a mainstay of Chinese lore. Here are a few leadership lessons we can gain from one of the world’s most beloved farm animals (perhaps, second to pigs because bacon). According to universally-accepted notions of the zodiac sign, goats are naturally inquisitive. This explains the numerous instances of when goats wander off to unfamiliar places, consuming anything that catches their eye over a nagging curiosity of what certain things taste like. In the same way, people born in the Year of the Goat often exhibit a yearning to escape their comfort zones, whether to try out that new convenience store down the road or use a different approach in lead nurturing. Goats are also thought to be wildly romantic. We don’t know if this has any biological bearing, but it somehow tells us that goats are adept at courtship. It could be that they can wield language in such a way that they assume an almost mystical charm, similar to the way that top-performing marketers promote the use of authentic and diverse content forms to lure potential clients. Goats also tend to be artful, which makes us ask, “Have we ever seen a goat paint a masterpiece before?” But we digress. Goats have almost always stood as animal representations of fearlessness and craftsmanship, being referenced in numerous works of art as well. With B2B marketing not far from being an art form, using one’s creativity is nothing short of essential in driving interests to one’s products. Want to start the year right? Start with the right herd of professionals that specializes in lead generation and appointment setting and maybe the year wouldn’t turn out to be bad for business after all. Gong Xi Fa Cai! In a typical content marketing lifespan, you cannot avoid getting into a phase when you start wondering why your pieces of great content – those which are with quality and viral potential – are not stumbled upon by your target market. It’s a frustrating time, especially when you’ve become really proud of your content outputs yet they don’t really help in generating leads for your team. Apparently, there’s a whole lot of difference between creating good content and promoting it, and the latter is what ultimately decides the “searchability” of your posts. There are things you could do to effectively promote your content, as proposed by Sonia Simone, co-founder and Chief Content Officer of CopyBlogger Media. Today, tomorrow, next week, and next year, you need to be building your network of web publishers. 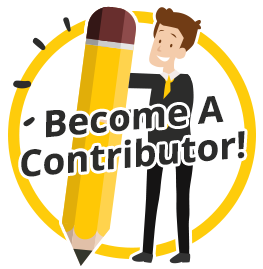 Those are the bloggers, web journalists, social media power users, and others who have the audience you’re looking for. You have to do something (like create some fantastic content) worth paying attention to. And you have to be the kind of person that others can stand to hang out with. Incidentally, don’t try to only cultivate a network of “big” publishers. Those are nice, too, but you also want to expand your network of publishers whose audiences are close in size to yours. Networking isn’t about sucking up to people you don’t like. It should be about cultivating relationships with publishers who are passionate about the same things you are. Spend your time on people you respect and like — it just works better all around. As you’re building your network and creating that epic content, remember to make it easy to share. Format it to be reader-friendly. Put a decent headline on it. Make it easy to share on social sites. Make it entertaining and useful. Make a careful study of the content that gets lots of shares on your favorite sites. Try to model your content on that — not just superficial elements like a Buzzworthy-style headline, but in delivering an experience that the audience wants to share with others. You’ll never be able to really effectively promote stale, “me-too” content. Even if you make it useful and interesting. Even if it has good headlines. Your content needs a unique voice. It needs a point of view. You have to stand for something. You need a thumbprint — something about you, your approach, and your content that no one else has. No matter how crowded and cluttered your topic is, there’s always a way to differentiate. But you need to put the work in. It can take time, and thought, and a lot of words written. But there is always a way. When there’s too much going on, sometimes marketers tend to overlook important things during the course of a B2B lead generation campaign, causing them to struggle in making adjustments. Once the campaign has already kicked off, focus should be allotted on maintaining the marketing momentum, instead of controlling the damage caused by an oversight that could have been prevented in the first place. That is why preparation is very crucial before the start of a campaign. When everything is laid out clearly and systematically, the operation would be smooth-sailing and achieving the desired results would be much easier. Is your campaign anchored from an in-depth understanding of your target market? Understanding the audience should be the heart of lead generation above everything else. Plans and activities are easily executed if they are based on how prospects behave when they do research, interact with sales people, choose their products/services, or make the deal/purchase. Do you have an accurate and updated data pipeline? The information in your sales pipeline is like your map as you go out into the wild jungle of the B2B industry. Not making sure it’s reliable only slows down the progress of the campaign. Have you selected which key success indicators you will be measuring? The sign of a successful campaign isn’t always based on actual ROI figures. You could also gauge your success by looking at certain points, i.e. click-throughs, shares, sign-ups or web traffic – whichever you decide to be an important factor for your team. Are you satisfied with the content you will be offering to your audience? If you have faith that your content pieces are engaging enough to elicit a desired response from its readers, then you’re ready to put it out there. You will only need to know how. Do you have a holistic, integrated marketing strategy in place? To carry out multiple, unrelated minor tasks within the campaign can be counter-productive; you need to have a system that puts all your efforts complementing each other to reach a common goal. How would you nurture your leads? Although every lead is more or less unique, you should still have a standard lead nurturing scheme to make sure all your prospects are well taken care of. The campaign should not stop at just merely generating leads; it should carry them through the end of the sales process. As a company serving the Asian market, and probably even beyond that, it is your responsibility to know what will get potential B2B leads to come to you, to do business with you, to make your B2B lead generation campaign be more successful in the end. This may sound like a big challenge, but that is not the case at all. You see, this is all about knowing what strategy to use, what communication tools to employ, as well as good, old-fashioned, customer service. Yes, customer service. While you might think that this is an after-sales affair, this is not the case at all. If you want to convert more B2B leads into closed deals, then you have to do it right. And there are many ways to do that. Being present – when a business prospect calls you back, you should make sure that you answer that call. I mean, they actually made the effort to connect with you. You should show them your appreciation for the effort. Just imagine the lost opportunity in B2B appointment setting, if they call you and you are not there. Being focused – when you are talking to a business prospect, you need to focus your discussion with them. Whatever you discuss with them can be used to define what you need in the marketing game and enable you come up with a business solution that they will need. You cannot afford to let your mind wander at this time. You might miss something important in the discussion. Being alert – this is especially true when you are meeting prospects in person. They might have nonverbal cues or reactions to your talk that can help you determine their willingness to be with you. From there, you can plan out your next steps in convincing them to do business with you. There is a lot of things that you can learn just by actively observing. Being ready – it is all about being prepared when the prospect decides to close the deal with you. It will not do well with your business if, at the end of your discussion, you find out that you actually cannot deliver what you are offering your prospects. That would be a real embarrassment, plus, you will lose the confidence of your prospects. To tell you the truth, this is something that you should always keep in mind, no matter what other things you have to deal with. Being communicative – this can be best experienced when doing a transaction. You see, this is not just a pay-and-deliver setup. This is a two-way interaction where you have the opportunity to get a better relationship with your business prospects. 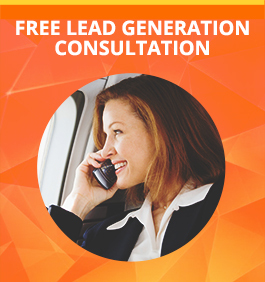 If you can build that, through better communication (say, with professional telemarketing), then there is no stopping you from generating your sales leads successfully. You just have to talk with them. Customer service must be there right from the very start, from the moment you begin your B2B lead generation campaign, until even after your customers have left you. It is about being helpful and concerned about improving their lot. Too many stuff are going on in the realm of B2B lead generation that at times marketers have got to stop for a while and look at the basics. Letting yourself get caught up with emerging and short-term activities could make you lose sight of what you’re really aiming for. It’s not a sin to develop extraneous goals here and there, especially if they contribute to your overall mission, but working in a cluttered setup without a straight-arrowed path to an objective is unhealthy – both to you as a marketer and your campaign in general. Before, all it took was to paint bright colors and add wonderful images and you’d have all the attention you could hope for. Today, people don’t easily bite at decorations. They thirst for something new and exciting, something that could make their brains actually work. Provocative headlines. Viral videos. Location-based penetrations. Elaborate infographics. Anything that satisfies their need for novelty and quality content. Lead generation content is not a suspense novel. You don’t put unexpected twists or obscure characters. You don’t bring your readers along to a confusing, mind-draining ride of garbage. Your message should be obvious and clear. Don’t spend too much time trying to creatively convey what your message is; instead, focus on how you could deliver it so they could grasp it with ease. Casual readers would willfully absorb your content without any form of objection as to its credibility or accuracy. But the ones that do question it – those are the ones who are truly interested. They are your prospects. Now if you don’t have any evidence to support the assertions on your content, how can you expect these prospects to trust a company that makes bogus claims. You know that feeling when you’re reading a very compelling piece of article that cites several strong points to prove a claim, going on and on and then suddenly at the end it starts playing safe by saying something completely impartial? Frustrating, right? When you’ve started giving your stand about a topic, stick to it. Make a conclusion. It doesn’t matter whether people would agree or not – what matters is that you’ve chosen a side. Being “safe” makes prospects think that you’ve just wasted their time, and will never consider making business with you. It is all strategic – think of this as long-term plans meant to bring you the B2B leads you are after, but are actually nothing more than experiments on what to do and what not to do. More often than not, this will just lead you to failure. You should try avoiding that. Actually, if you really want a solution in marketing, you should take a tactical approach, more akin to reacting to what market trends and tastes dictate. Marketing is sales – while, at first glance, this makes sense, in actuality, this is also a mistaken belief. Marketing teams do not bring in the money, sales teams do that. Marketing is all about the analysis and formulation of plans, sales handles the actual implementation. If you want to truly get good results for your marketing campaign, focus on sales. Marketing will pick it up from there. Marketering is all about the selling – again, another misguided observation. To tell you the truth, marketers rarely do the selling. They are just there to create the tools and processes that enable sales to do their job right. Most of the time, they actually end up producing the wrong tools, or ones that perform sub-par. Still, it cannot be denied that they are what you need in working on winning more sales leads in your telemarketing campaigns. Brand is everything – it may sound sensible in today’s brand-conscious market, do people really worry about the brand of what they buy? Most of the time, all they care about is whether this is cheap enough and good enough to solve the need at hand. If your business can provide something like that, then you can be sure that your customers really will come. All the better for your B2B appointment setting efforts. The future can be predicted marketing – to be honest, no one knows what the future will bring, and even if marketing can have a more accurate picture, it is still pretty much an unknown factor. The best you can do is to prepare for any eventuality, and deal with it quickly. If you can get rid of these erroneous thoughts, then the better your B2B lead generation campaign will be. A good business image is everything, let no one say otherwise. Think about the companies we know today, like Apple, Microsoft, Walmart, Ford, Pfizer, and even Gucci. When you hear their names, you recognize them immediately, right? That is the power of image. And that is a quality that bring in the sales leads. For a lead generation campaign to be successful, you need to create a powerful image in the minds of your business prospects. Now that is a challenge that a lot of marketers are trying to solve. It can make all the difference in their ability to generate qualified B2B leads in the market. So, where should you be starting? First of all, you need to consider what your image in the market should be . Remember that your image must contain the thoughts, feelings, beliefs, opinions and visions customers and business prospects have about you. It must also represent the products and services that you or your company bring to the market. Take note that your company image is based on what your market thinks of you, not how you think of yourself. The most successful company images are those that have customers thinking exactly of what you wanted them to think of your business. This alignment of market expectations and company capabilities is what makes an appointment setting campaign easier to do. Also, do not forget that creating a positive company image requires the use of various marketing mediums. Whether it is by email, print ads, telemarketing, or any other medium, you have to ensure consistency and accuracy of the message you convey. Effective image building is an important step before you start any significant lead generation campaign. For example, start with your company logo. Is it attractive enough to business prospects? Does it reflect on the nature of your business? How about your taglines? Do the words used best state what your company is all about? Look into your employees as well. Do they follow the spirit of your company? Do they attend to customers with a smile? These are just examples of what you can do to improve your company image. Another point to consider would be the products and services that you offer your business. You can praise your offering all you want, but if they fail to deliver, you get a negative customer response that is worst than you handle. If you cannot do anything about your products, you might as well be honest about it. Even if it means losing a potential sale, if it can keep you from committing a major marketing blunder, then it is worth it. You have your brand’s image to protect in the long run. Your image, when properly nurtured, will be strong enough to get you your B2B leads. By cultivating a positive image, you ensure that your business will prosper in the long run. Lead generation campaigns would be much more rewarding, as long as you have a positive image in your market.